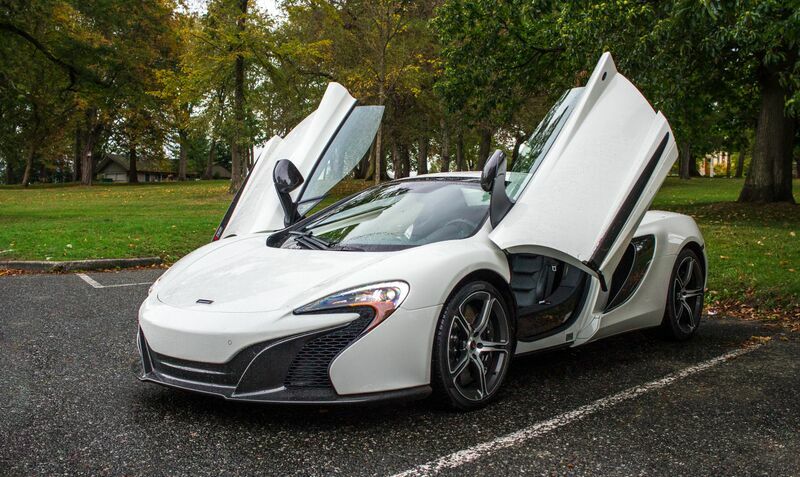 McLaren has bestowed the 650S with all of the calling cards of the genre. Part of a supercar’s appeal is a certain air of intimidation achieved, in part, by its extraordinary looks. The 650S, as you would predict, is incredibly fast. Under the guise of supercardom, the 650S shines with performance contrasted by surprising compliance and accessibility. The McLaren 650S is a serious car. Serious in that it takes the nebulous task of being an everyday-capable supercar very seriously. With a lightweight carbon fibre chassis, a roaring twin-turbo V8 engine, and a seven speed dual-clutch gearbox, the McLaren 650S Spider looks like a rocket on paper—but how does it handle inclement weather, potted roads, and heavy traffic? 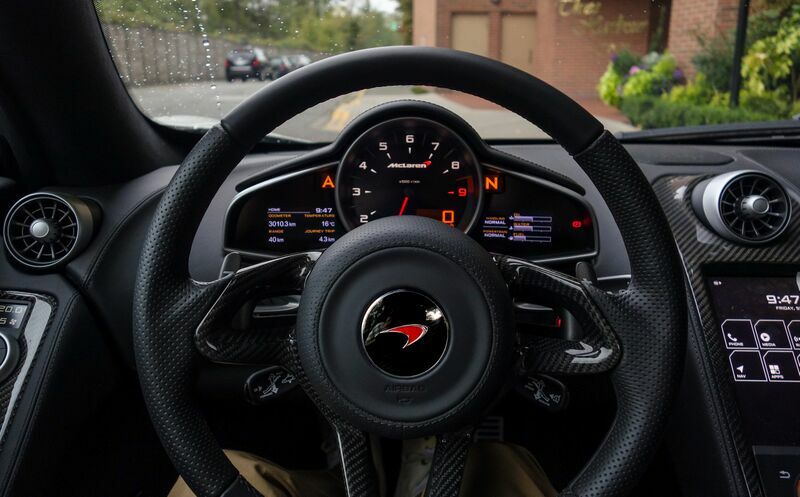 When I jumped at the chance to test one of the latest supercars from legendary British manufacturer McLaren, little did I know that Vancouver would do its best to quite literally rain on my parade. The 650S is a rolling tribute to the massive effect that advanced technologies have had on the historically razor’s-edge experience of the supercar. Rightfully, McLaren has bestowed the 650S with all of the calling cards of the genre, including a rear-mounted 3.8 twin-turbo V8 engine, super-sized carbon ceramic brakes and as much lightweight carbon fibre as possible. 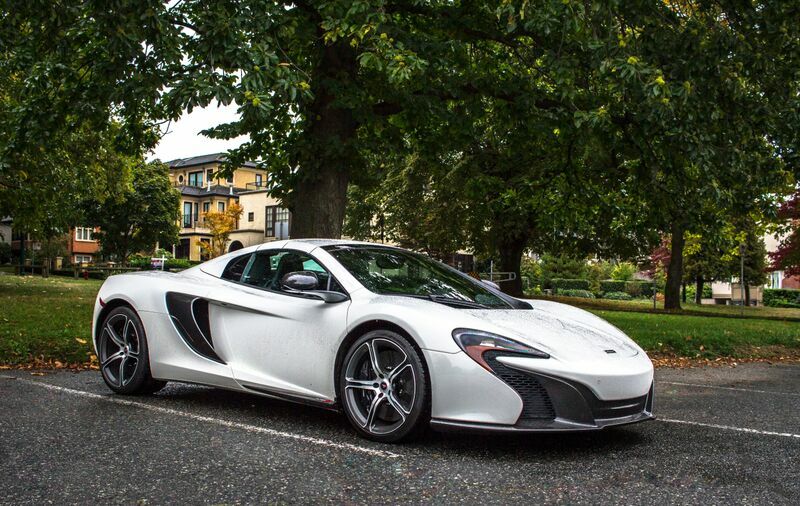 The 650S is, as you would predict, incredibly fast. With 641 horsepower and 500 pound-feet of torque with massive 305 section tires, it’s nearly impossible to experience its incredible performance anywhere short of a racetrack. With launch control, 0-100 kilometres an hour is seen in as little as 2.9 seconds, with 0-160 kilometres an hour in 5.8 seconds and a top speed of 329 kilometres an hour for the Spider. Those numbers, while fantastic, are largely to be expected from a McLaren supercar. After all, the McLaren F1 (the supercar of my youth), managed to hit 160 kilometres an hour in 6.3 seconds in a time when Sir Mix-a-Lot was topping the charts with “Baby Got Back”. What’s remarkable about the 650S is that it can offer this level of performance while still managing to be accessible in everyday conditions—the sort of environments that used to confound and entirely complicate the supercar experience. On a rainy September day in Vancouver, I took the 650S through side streets, speed bump-ridden parking lots and rain soaked highways, and it took it all in stride. Part of a supercar’s appeal is a certain air of intimidation achieved, in part, by its extraordinary looks. The 650S, in Coupe or Spider form, has a beautiful and curvy exterior that is detailed and athletic without looking too wild. Its intrigue is only magnified by vertically opening dihedral doors. Getting in and out of the 650S is a bit of an occasion, made somewhat more ostentatious by the impressive shout created by the engine upon ignition. The 650S simply roars to life and people take notice—the 650S Spider will turn heads anywhere where you go. At the push of a button the 650S Spider can drop its folding hard top roof for an open-air experience. Should the weather prove uncooperative, simply lower the small rear window and let in that glorious noise while keeping the rain comfortably at bay. The window is controlled via a switch on the centre console and is one of the best simple features on the 650S, allowing for more airflow in the cabin and a more direct connection to the many exciting sounds generated by the engine and its 8500 revolutions per minute redline. For those wanting an even louder exhaust note, we turn to the Active Dynamics Panel (ADP), which is mounted below the infotainment system in the swooping centre console. The ADP controls the stiffness and compliance of the suspension (how the car soaks up bumps in the road), the speed of the gearshifts, the severity of the throttle response, and the active aero elements (like the rear air brake/spoiler), allowing you to dial in a more old-school supercar experience. With the 650S in Normal mode, the suspension is soft, compliant, and well dampened, and throttle inputs and gear changes are smooth and progressive to promote better fuel efficiency. Additionally, a series of electronic systems are active to keep you on the road by limiting wheel spin, braking select wheels, and constantly managing traction and stability. Click the switches to Sport and press the Active button and the suspension firms up, while the steering inputs, gearshifts, and throttle response become more immediate and the exhaust becomes considerably louder. The 650S feels livelier in Sport mode and the gearbox is excellent when you push a little harder, shifting closer to redline. Shifts become a momentary pause in a steady wave of torque as the engine revs happily and presents a smooth but boosted power band that can offer an absolutely shocking increase pace when on boost. Given the conditions, I became most familiar with Normal mode, often leaving the ADP in its inactive setting. When sitting in traffic or driving along surface streets, the McLaren’s automatic mode was surprisingly fuss-free. While not as compliant as a commuter car, the seven-speed dual-clutch gearbox responded easily to throttle inputs, did not roll back on hills, and jumped quickly to 7th gear on the highway. 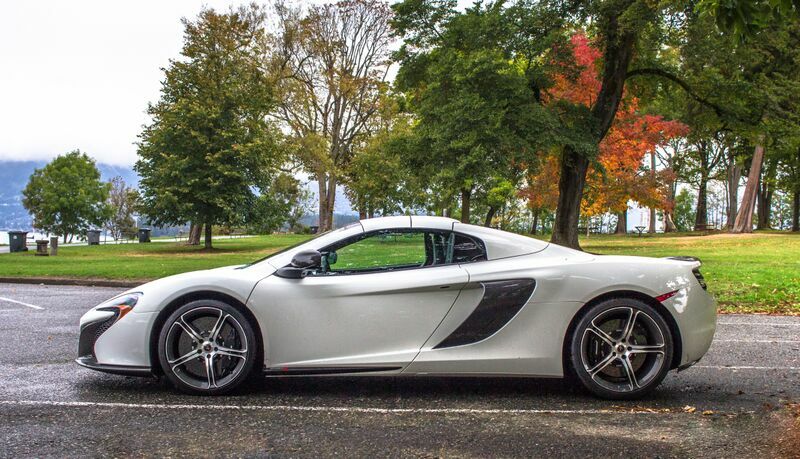 The 650S Spider will turn heads anywhere where you go. From the driver’s seat, with my hands on the perforated leather-wrapped carbon fibre steering wheel, the 650S feels hyper focused, driver centric and indeed, rather serious. Even in the rather splashy conditions, once underway the chassis is communicative with a confidently rigid demeanour. Steering is fast and accurate and becomes even sharper in the Sport and Track settings. The gauges place all of the crucial information at a glance, with a central emphasis on the tachometer and speedometer, while the vehicle settings as well as trip and fuel information are displayed in the digital side gauges. There is little to distract the diver from actually driving, and when the need arose to dig into the 650S’s settings, I found the interface to be simple and fairly straightforward. One major stress associated with supercar ownership is scraping the low bodywork or undercarriage on driveways or speed bumps. This, too, the McLaren handles in a rather user-friendly manner. With the Vehicle Lifter option, the 650S uses its trick adaptive suspension to raise the ride height of the entire car (not just the nose). Without having to stop the car, when it came time to refuel, I was able to raise the car using a stalk on the steering column. With the added ground clearance, the 650S was able to easily roll up the raised entryway of a metro gas station without dragging its expensive carbon fibre front splitter along the pavement. The system worked equally as well when negotiating the occasional speed bump. Predictably, space is at a premium, especially if you have a passenger. There is a small “trunk” in the nose of the car with enough space for a weekend bag or a small grocery run. If you need more space, you’re not ready for the supercar lifestyle. I’m not suggesting that the 650S is going to be the ideal solution for a daily driver, but under the guise of supercardom, the 650S shines with blistering performance contrasted by surprising compliance and accessibility. Priced just a hair shy of $400,000 CAD, the McLaren 650S follows the format established by the legendary F1, big power with a litany of cutting-edge technologies designed to increase the accessibility of the car’s extreme performance. When tested, the 650S proved to be an accessible, eye-catching and entirely drivable supercar with an adaptable skill set and smile-inducing brute force.